Brett is a communications and marketing professional who lives in New York City. He is also the bassist for the indie band Panama Wedding. Follow Brett on Instagram at @spigelbutt and listen to him embarrass himself on the streets of New York by clicking his name. Contact Brett at spigelbutt@gmail.com. Almonds are the magic nut. They’re rich with flavor and nutrients, and can play both a supporting or lead role in so many recipes. Here, we’re using almond milk and whole almonds to add flavor and texture to a delicious smoothie that combines vanilla, dates, ground cinnamon and banana. It’s filling and extremely tasty! 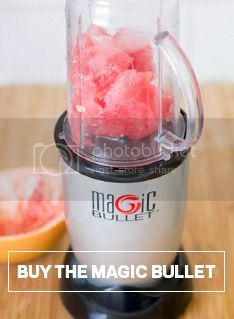 Combine all ingredients in your Magic Bullet and blend until smooth. That’s it! Have this treat for breakfast or just a snack – delicious and healthy!